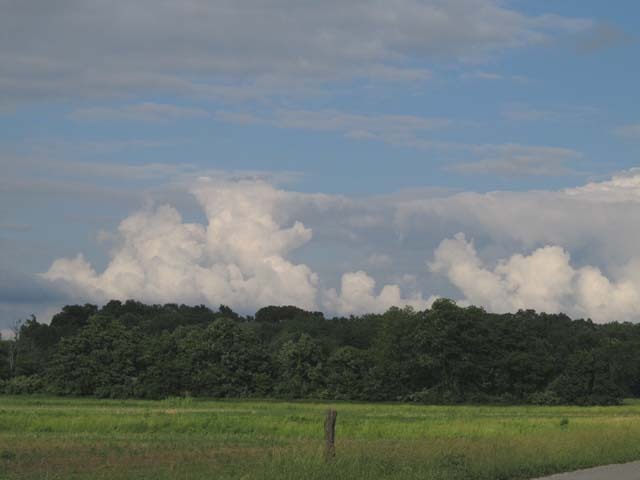 I went for an evening drive and am I glad I did. 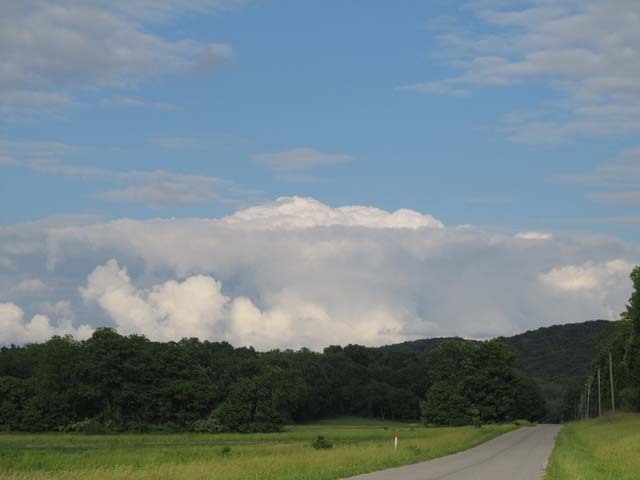 The closer I got to home, the more dramatic the clouds became. 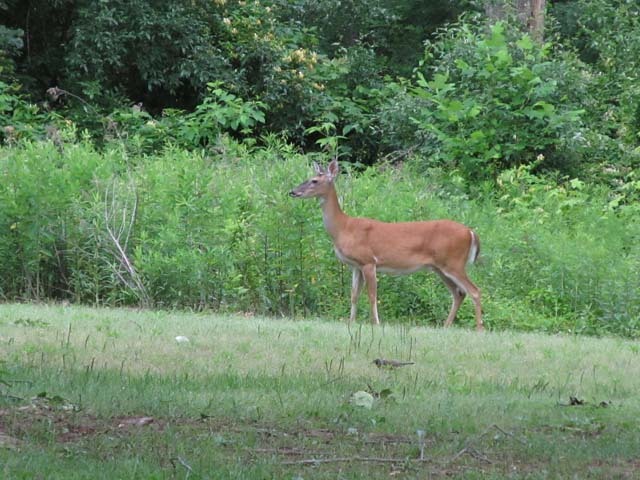 All the following pictures were taken from my front yard. 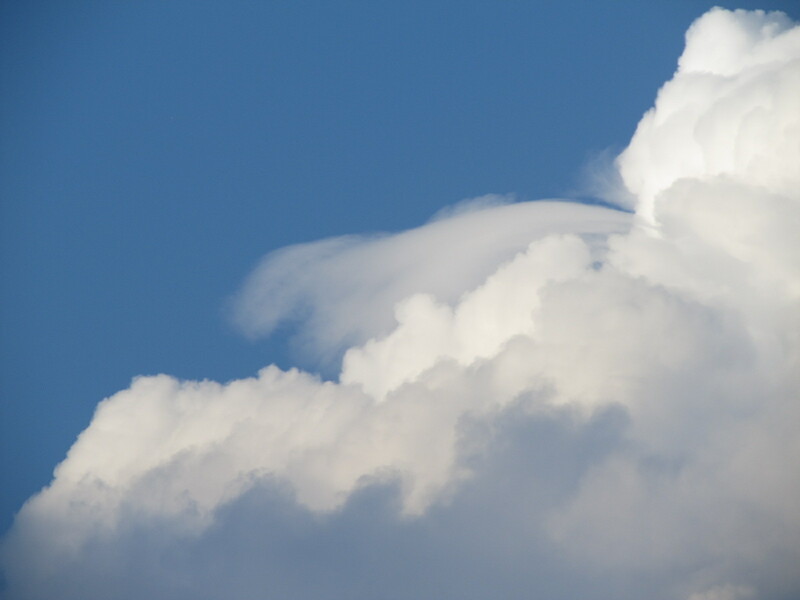 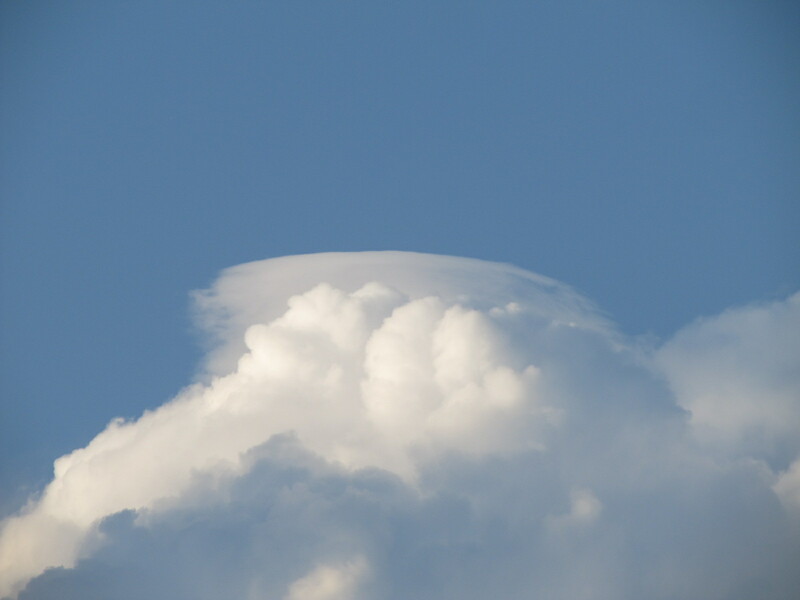 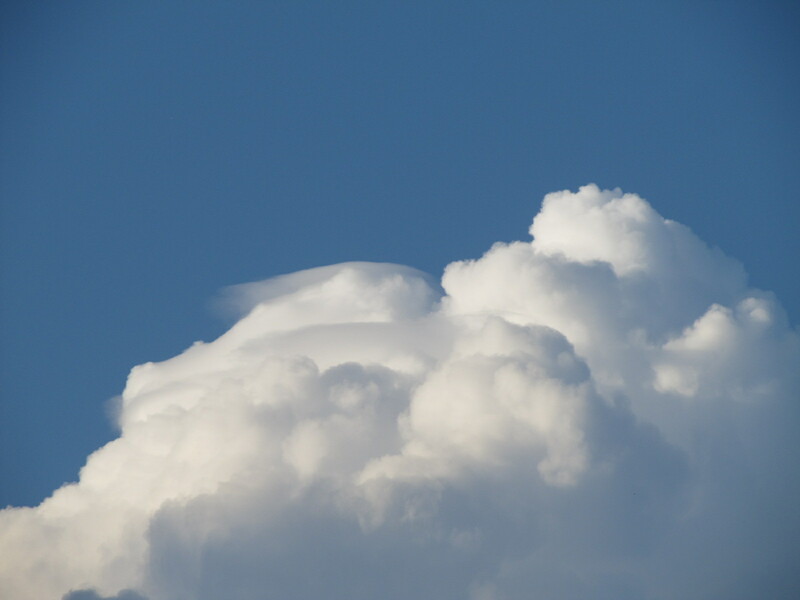 I’ve occasionally seen cap clouds (pileus clouds). 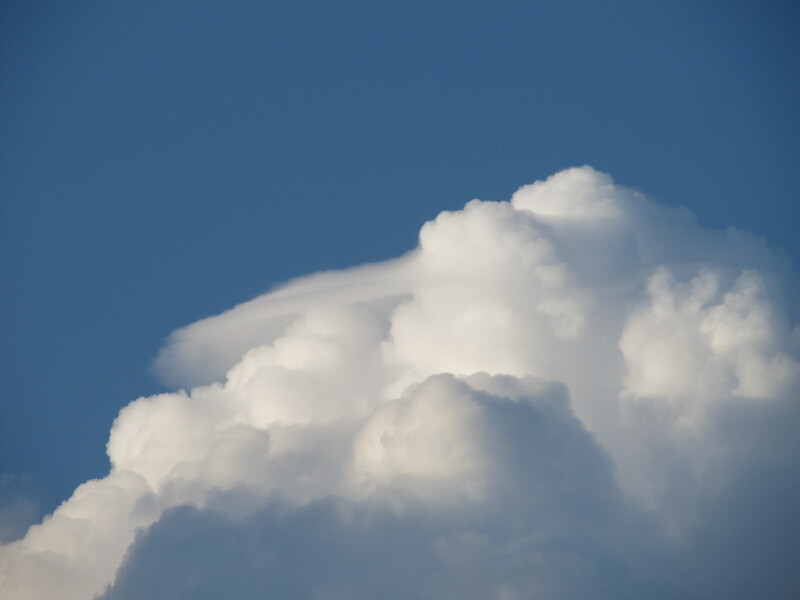 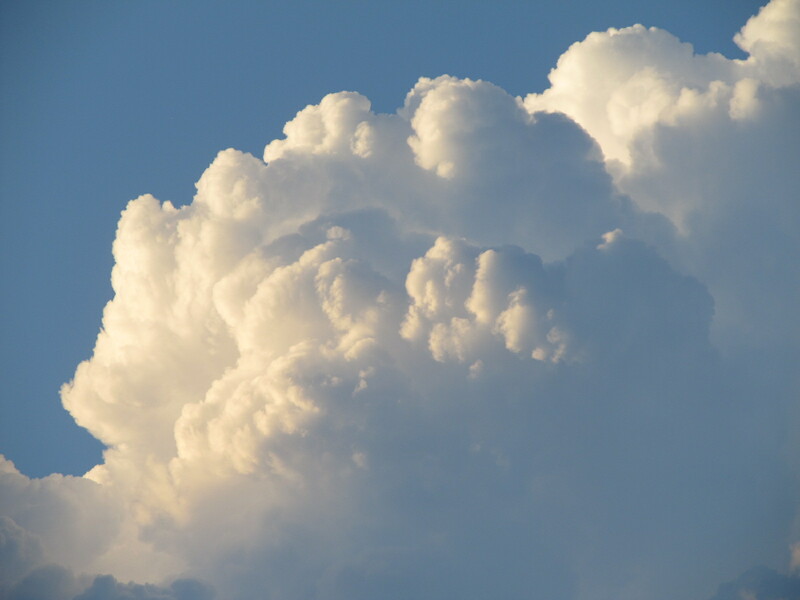 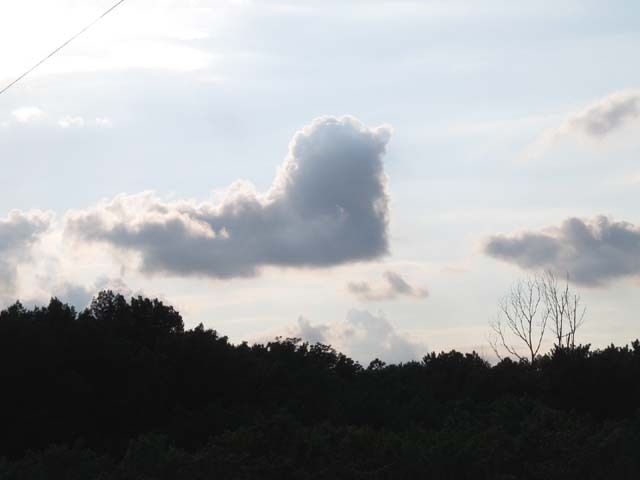 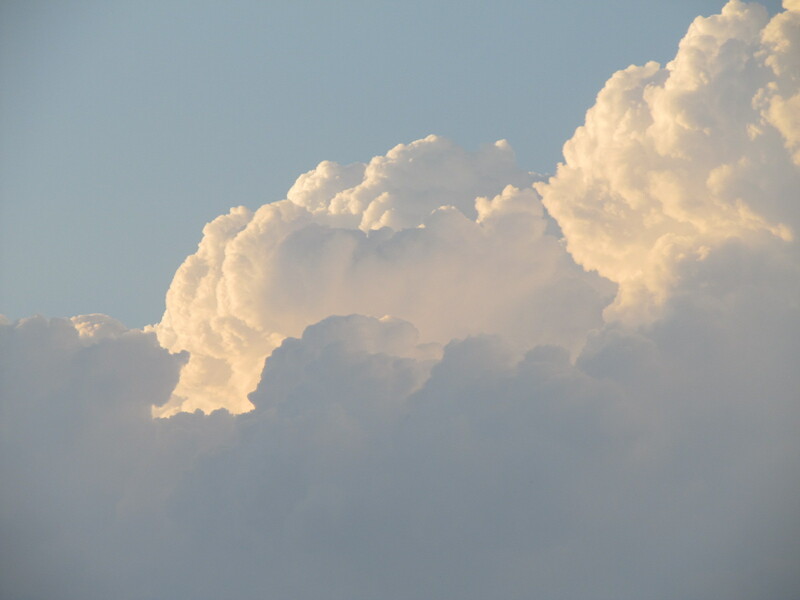 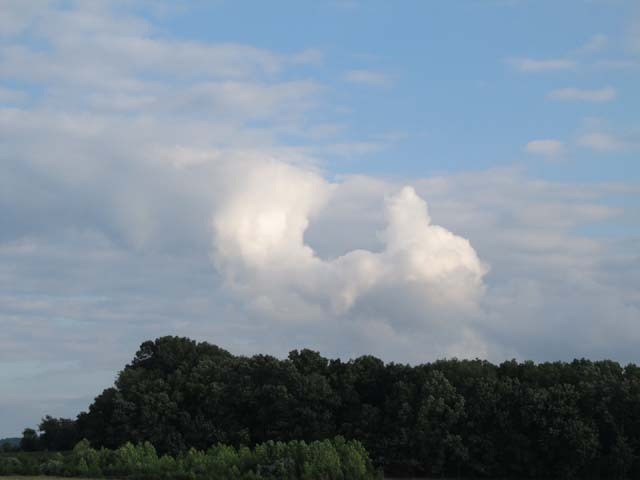 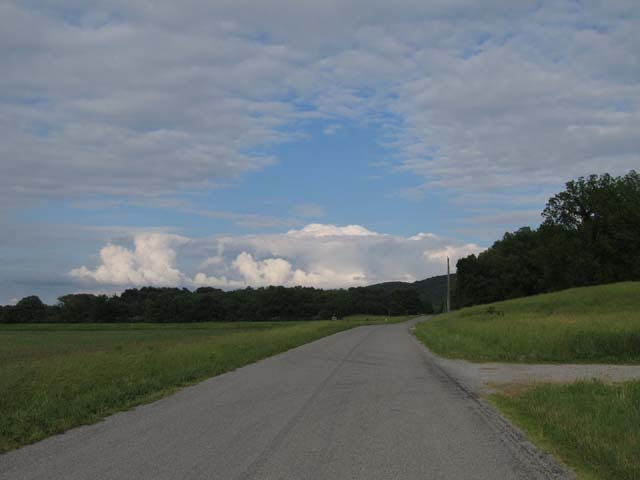 The cap results when a moist current of air is forced over a growing cumulus cloud. 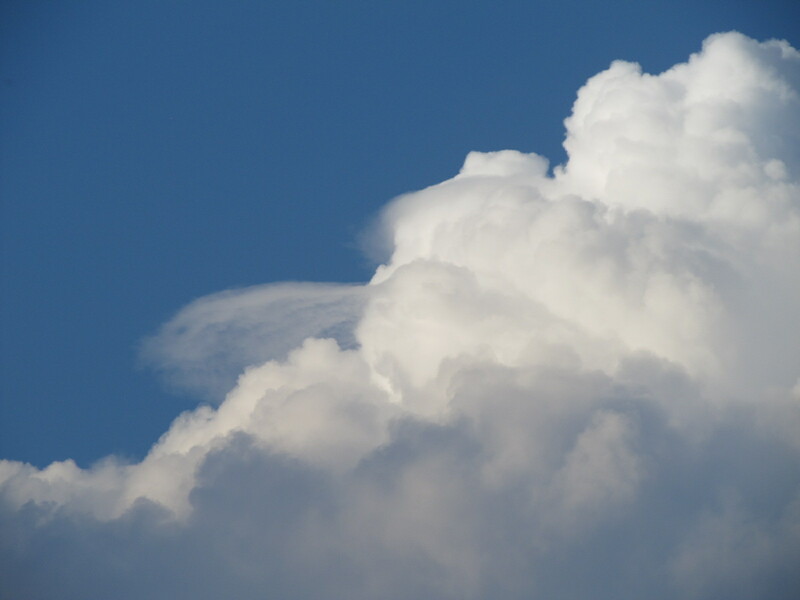 It soon began to slowly sink lower. 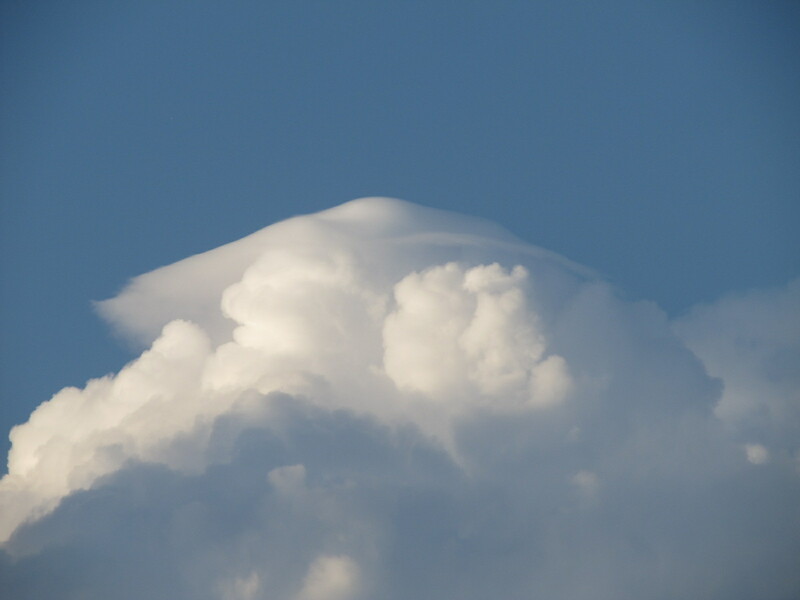 It continued lower, and another one started forming on a peak near it. 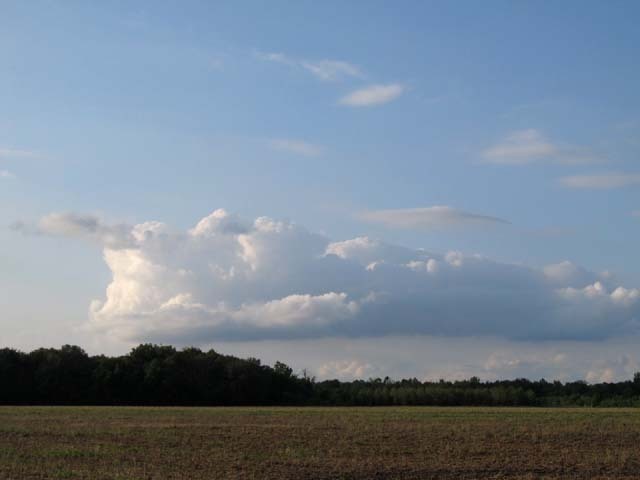 soon to be followed by another one forming. 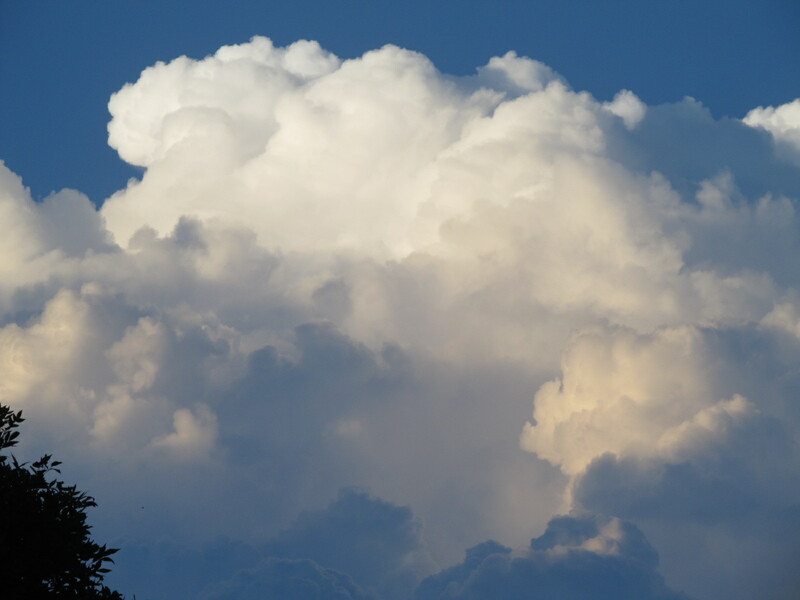 A cloud spirit (lower right) watched the last of the evening’s dramatic cloud display.